Medical Expenses Recoverable in Car Accident Case | Hupy and Abraham, S.C.
How will I pay for my medical expenses if I’ve been hurt in a car accident? As a Wisconsin driver, you should have medical payments coverage in your auto insurance policy, which you can use to pay for your medical expenses after you have suffered injuries in a car accident. Unfortunately, this coverage may not be enough to pay for all of your medical expenses. Your private health insurance or government health insurance may also be used to pay for your medical needs. However, this coverage too can fall short of compensating you for everything. For example, you may be stuck with copayments or deductibles, and the insurance company may not cover all of the medical care from which you might benefit. Assistive medical devices, including wheelchairs. You may be able to recover any of these medical costs that are related to the injuries you suffered in the accident. For expenses you’ve already incurred, you may be able to submit a bill. However, for costs that are likely to occur but have not yet happened, you may need a doctor’s testimony to establish the value of your future medical expenses. 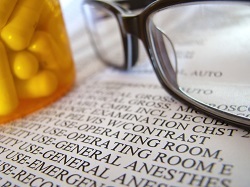 Recovering the damages that you deserve for medical expenses can be complicated. It is certainly more complicated than simply submitting bills and asking for reimbursement. Accordingly, it is important to have an experienced car accident lawyer working for you and fighting for your fair recovery. If you would like to schedule a free meeting with an attorney, please call us directly at 1-800-800-5678.
Who Is Going to Pay Your Medical Bills After a Crash?